Remember when Windows would crash so amazingly well that you could paint with the error report windows? That sure was fun, wasn’t it? 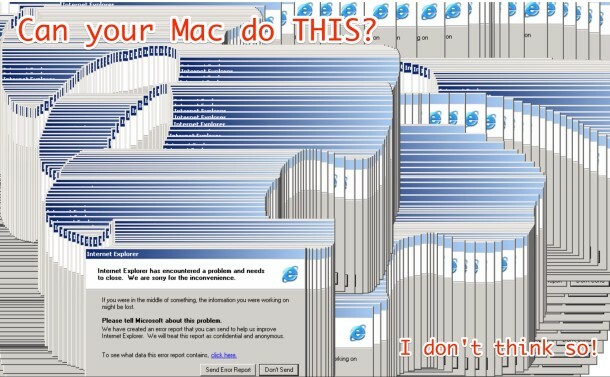 Maybe one of the more entertaining aspects of running Windows when it crashes, so the next time your Mac friend brags about their computer… ask them, BUT CAN YOUR MAC DO THIS? I don’t think so! 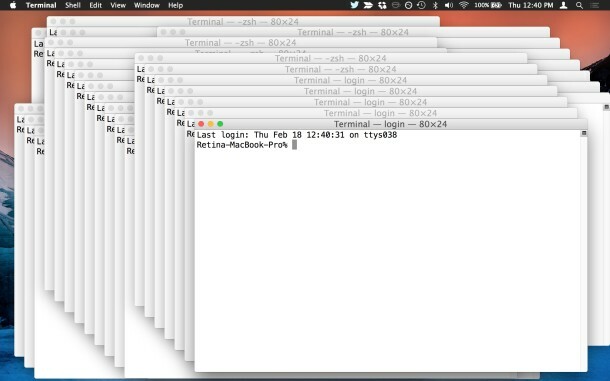 OK so you may file this under “Things your Mac can’t do” – not that you’re particularly disappointed by that. This almost makes you miss those Windows crashes… well, nah, not really. And wait, if you’re on a Mac and you want to replicate a similar experience but without crashing OS X, you can do one of two things: You can set that picture as your Mac wallpaper or screen saver image – oh and you should to, or you can stay native in OS X by doing a silly trick on the Mac, possible in many apps, like Finder and Messages by repeatedly hitting “Command + N” keys to open new windows. They will tile automatically atop one another, but no, you can’t paint with them like the glorious Windows painting error report crash dialog, but you know, if you’re feeling really nostalgic, give it a try. No, it’s not the same, and it’s intentional, so it’s quite a difference! Have any other fun computing humor to share with us? Post it in the comments! Actually, my Mac has had some pretty spectacular crashes recently as well. One turned out to be a bad video card, so not quite what you were talking about. Mostly these days, it’s just locking up with no way of recovering other than a reboot. Actually, live scrolling in Illustrator CS5 does that all the time. Annoying as hell. 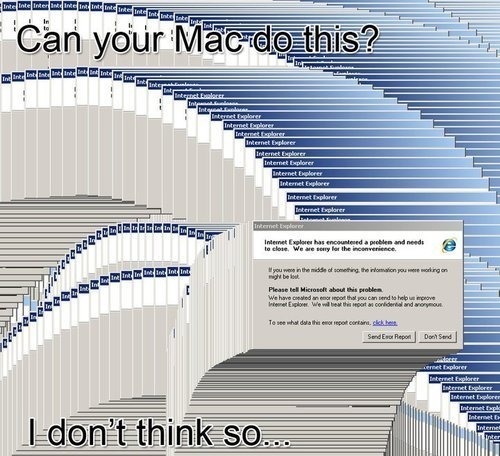 I seem to recall that OS X wasn’t particularly stable when it was first released, but nonetheless as a longtime PC user I still laughed. Windows 7 doesn’t do this. In fact the only times it has bluescreened have been my fault… overclocking or undervolting the processor, for example.